Rep. John Mica is standing up for you, America. Finally, the Florida Republican is speaking out for the sleeveless among us. 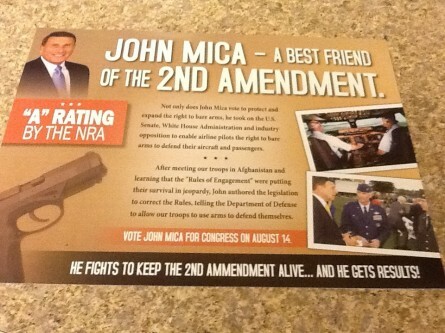 "John Mica — A Best Friend of the SECOND AMENDMENT," a Mica campaign poster proudly trumpets. But that&apos;s not all! 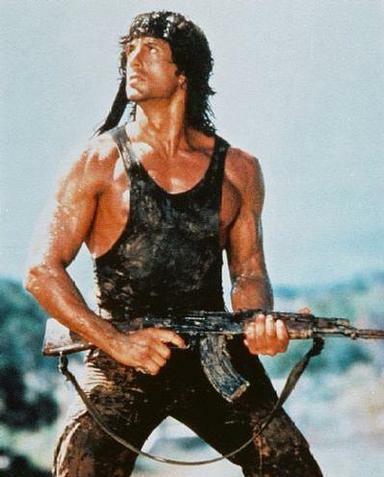 Mica promises that he will vote "to protect and expand the right to bare arms." Not just any arms mind you, but the chairman of the House Transportation and Infrastructure Committee has fought, and won, the right of pilots to go sleeveless! "[H]e took on the U.S. Senate, White House Administration and industry opposition to enable airline pilots the right to bare arms to defend their aircraft and passengers," the poster claims. Finally, this guy can take his rightful place flying in America&apos;s cockpits.